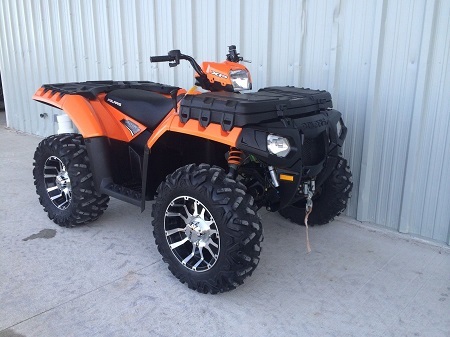 This Sportsman has a Polaris lock and ride front storage box and Polaris winch. This machine is in excellent condition and still has the showroom shine. This is the Limited Edition Sportsman with Orange painted plastic.